Many organizations employ part-time workers who are paid on a salary basis. These employees usually receive a prorated or pro rata payment each payday. "Pro rata" essentially means the employee receives a proportion of the salary that a full- time worker gets for the same position. Employers should exercise caution when deciding to pay a pro rata salary because this is not always appropriate. Salaried personnel are classified as either exempt or non-exempt under the federal Fair Labor Standards Act. Paying a pro rata salary to an exempt employee may conflict with the provisions of the FLSA. However, a bonus may be prorated for any salaried employee. The term pro rata means to reduce one quantity in the same proportion as a reduction in another quantity. For instance, if a person works halftime, her salary would be prorated to 50 percent of a full-time salary. Prorating salaries is sometimes desirable because a salary is a predetermined amount of compensation that is normally paid regardless of the number of hours actually worked. Employers may prorate salaries for several reasons. For example, an employee may work part time, take a personal day off or take several weeks unpaid leave under the Family Medical Leave Act. An employee who is paid on a salary basis may be non-exempt or exempt. Non-exempt workers are protected by the minimum wage and overtime rules of the FLSA. For this reason, a non-exempt worker's salary must be converted into an hourly rate and his work hours recorded. It is, therefore, possible to prorate his salary. Exempt employees fall under different FLSA rules. In most cases, they must be paid the predetermined salary regardless of the number of hours worked, so prorating their salaries is usually prohibited. To calculate pro rata salaries, first, find out what the annual salary is for a full-time position. You also need to know how many hours per week and how many weeks per year the part-time employee will work. Suppose a part-time worker will normally put in 24 hours per week. The full-time annual salary is $52,000. Divide this by 52 weeks to find the weekly salary of $1,000. Divide the expected 24-hour part-time workweek by the standard 40 hour week expected of full-time employees. The result is 60 percent. The pro rata weekly salary equals $1,000 times 60 percent or $600 per week. If you want to know the annual pro rata salary, multiply the weekly pro rata amount by 52 weeks. In this example, you have $600 multiplied by 52. The annual pro rata salary works out to $31,200. When an employee works only part of the year, the calculation is the same, except that you substitute the number of weeks the employee actually works for 52. In this case, if the employee will work nine months or 39 weeks, multiply the $600 weekly prorated amount by 39 to find the annual pro rata salary of $23,400. 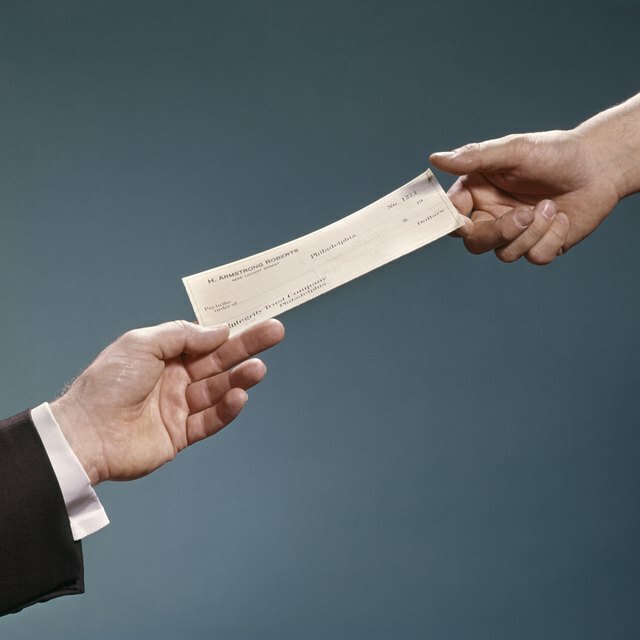 Many employers pay bonuses as a reward or incentive for good performance. A bonus is an extra compensation that is not part of a worker's regular salary or hourly wages and may be prorated for exempt employees and hourly workers as well as non-exempt personnel. A typical situation that calls for a pro rata bonus is when a new employee has not completed a full year at the time an annual bonus is paid. To calculate the pro rata bonus, divide the number of weeks or months actually worked by 52 or 12, respectively to find the percentage of the year worked. Multiply the result by the full bonus amount. Suppose a new employee works nine months. Divide by 12 months to calculate that the employee worked 75 percent of the year. If the full bonus is $2,000, multiplying this amount by 75 percent yields a pro rata bonus of $1,500. Salary.com: How Do I Convert Salary to Hourly to Calculate a Part-Time Rate?